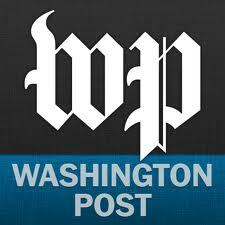 The following article was published by the Washington Post magazine on the 38h anniversary of Roe v. Wade U.S. Supreme Court decision which legalized the killing of the unborn in all the states of the American Union. As far as I know, the Adventist Church has not done anything to negate the facts alluded to in said report. “Christians of all denominations are gathering on the National Mall today to protest the 38th anniversary of Roe v. Wade, the 1973 Supreme Court decision that legalized abortion nationwide. But one denomination that may be sparsely represented is Seventh-day Adventists whose large worldwide network of 170 hospitals allows elective abortions. This stance was revealed last week when Marylandstate regulators gave HolyCrossHospital, a Catholic institution, permission to build a hospital in growing northern MontgomeryCounty, shutting out the Seventh-day Adventists, who also wanted to build a hospital in the area. Some abortion rights advocates opposed Holy Cross’s selection because it does not allow abortions. Adventists resemble many conservative Protestant denominations as they believe in divinely inspired Scripture, six literal days of Creation, justification by faith and baptism by immersion. “I can’t belong to a organization who advocates abortion,” one poster wrote. “I believe in Christ my Saviour, the Sabbath & etc. I believe in Sister White also,” referring to Ellen G. White, one of the revered founders of the denomination. SDA evangelist Kevin Paulson has given the longest defense of the church’s position here where he agrees the church essentially has no restrictions on the practice and might do well to restrict it more. “Many [Adventists] are forming opinions about abortion,” he wrote, “not from the study of Scripture or the Spirit of Prophecy (Ellen G. White’s) writings, but from listening to popular Christian leaders like James Dobson, Tim LaHaye, Franky Schaeffer, and Bill Gothard,” all of whom oppose abortion. “Sincere though they may be, these men espouse many theological errors and have no understanding of God’s truth for this time,” Paulson wrote. “Seventh- day Adventists should listen to such persons with extreme care and discriminating judgment. …Among the Adventist pioneers, J.N. Andrews and John Harvey Kellogg wrote against abortion, yet the writings of Ellen White maintain the silence of Scripture on the subject… We find it interesting that when Ellen White speaks of the “earliest moments” of our children, she speaks of birth, not conception,” he concluded.